When all is lost. Something wild will find you. 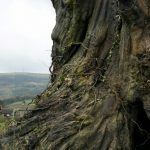 Adapted from the award-winning novel by Patrick Ness and bought to the big screen by acclaimed director J.A. Bayona, this uniquely powerful and visually spectacular story of love, loss and hope will teach us all about the miraculous healing power of the imagination and the remarkable strength we discover within. 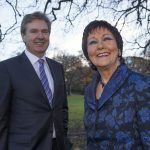 Independent News and Media (INM)’s partnership with the Holiday World Show Dublin was announced by Stephen Rae, Group Editor-in-Chief of INM, at a launch in Dublin yesterday. The media partnership, which will be across all INM national print and digital titles, is for the 2017 Holiday World Show, taking place in the RDS Simmonscourt from Friday 27th January to Sunday 29th January 2017. 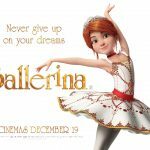 Félicie has one dream, to become a ballerina at the world’s best ballet school. She also has one big problem; she’s stuck in an orphanage with her best friend Victor hundreds of miles away. After a hair-raising escape and a gruelling journey the partners in crime arrive in the city determined to follow their dreams; Félicie’s to dance and Victor’s to become a famous inventor. She is taken in by Odette to work with her as a house maid but Odette has a secret; a talented dancer herself until her dreams were shattered, she sees the potential in Félicie and agrees to train her. 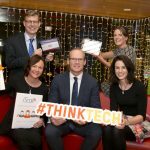 ALONE, the charity that supports older people to age at home, was presented with the Social Innovation Fund Ireland’s prestigious THINKTECH award by Simon Coveney T.D., Minister for Housing, Planning, Community and Local Government, at a ceremony in Google’s Foundry last night. ALONE achieved the award for a new responsive online platform, which it will develop in partnership with NetwellCASALA at Dundalk Institute of Technology, that focuses on supporting older people to age at home. 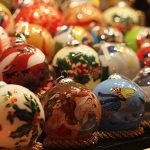 Give back this festive season by buying your gifts at the Designer Dublin Christmas Market, which takes place this Friday and Saturday, 9th and 10th December, in the historical surroundings of the Bank of Ireland forecourt on College Green and in Rowan’s Yard, Westmoreland Street. Entry to the market is FREE with all the stallholders’ fees going directly to the Society of St. Vincent De Paul. 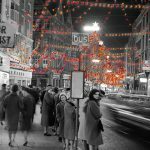 ALONE, the charity that supports older people to age at home, have partnered with Kelly Cards to release a range of Christmas cards for the holiday season. The specially designed cards are available in packs of eight each with two designs and cost €8.95. 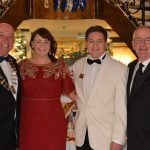 The 2016 Irish Travel Agents Association (ITAA) Annual Conference took place this weekend on board a luxury river cruise from Amsterdam to Cologne, courtesy of Uniworld Boutique River Cruises. Over 115 travel professionals attended the conference where a range of speakers discussed past and future trends, business successes and new travel products. 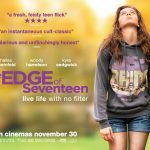 Written and directed by Kelly Fremon Craig, The Edge of Seventeen is a refreshingly authentic coming-of-age story that follows awkward teenager Nadine (Hailee Steinfeld) as she navigates her way into adulthood with her best friend Krista (Hayley Lu Richardson) and her brother Darian (Blake Jenner). Starring Woody Harrelson as Mr Bruner, Nadine’s reluctant mentor, and Kyra Sedgewick as her well-meaning but distracted mother, The Edge of Seventeen will be in cinemas from 30th November. 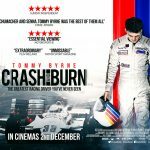 Crash & Burn, which tells the story of Dundalk-born Tommy Byrne, who for a fleeting moment in the early 80s was the world’s greatest driver, will be released in Irish cinemas on Friday 2nd December. Wildcard Distribution who will be releasing the film in Ireland and the UK. The motor racing equivalent of George Best and Muhammad Ali all rolled into one, Tommy Byrne went from driving a Mini Cooper in stock-car racing to the big-time in Formula One in a little over four years and was a serious rival of Ayrton Senna.